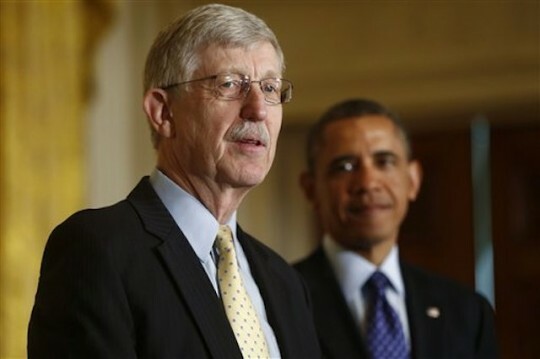 In October, National Institutes of Health director Francis Collins consistently insisted that Congress was to blame for a lack of funding toward creating an Ebola vaccine. "Frankly, if we had not gone through our 10-year slide in research support, we probably would have had a vaccine in time for this that would’ve gone through clinical trials and would have been ready." Funding never really "slid," however, according the National Review. And the NIH has spent money on several other projects, including obese lesbians, origami condoms, texting drunks, and dozens of other pet projects. On top of those projects, which comprised $39 million, the NIH announced it will grant $31 million to "enhance diversity in the medical research workforce." The five-year program will support 50 awardees from "underrepresented" backgrounds in science and research. "The biomedical research enterprise must engage all sectors of the population in order to solve the most complex biological problems and discover innovative new ways to improve human health," Collins said in a statement. "While past efforts to diversify our workforce have had significant impact on individuals, we have not made substantial progress in expanding diversity on a larger scale. This program will test new models of training and mentoring so that we can ultimately attract the best minds from all groups to biomedical research." Surely some of that combined $70 million could have gone to address an actual, current, pressing health crisis like Ebola. This entry was posted in National Security and tagged Diversity, Ebola, Health Care. Bookmark the permalink.